The production version of the EQ concept will be built in Bremen. FRANKFURT -- Daimler plans to build its new electric vehicles in existing Mercedes plants by integrating them with serial production of cars with combustion engines. 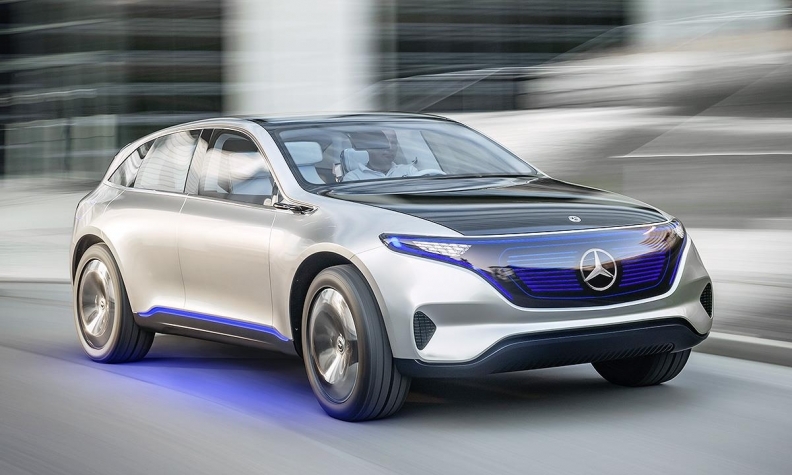 "In this way, we are taking advantage of the opportunities offered by electric mobility and are significantly limiting the required investment," Mercedes-Benz Cars production chief Markus Schaefer said in a statement on Wednesday. Daimler has said its Mercedes-Benz and Smart brands will launch more than 10 electric cars by 2025, with zero-emission vehicles accounting for 15 percent to 25 percent of Mercedes sales. It has already said that it would build the first model under its new EQ electric vehicle brand in Bremen, Germany, and on Wednesday it made Sindelfingen the second plant designated to join the electric cars push. Daimler plans to invest up to 10 billion euros ($10.8 billion) in the development of electric vehicles, and labor representatives have been pushing for a large part of that investment to be made in the carmaker's home country. The automaker said its factories in Bremen, Rastatt and Sindelfingen, Germany, as well as its Smart model plant in Hambach, France, would be competence centers for its electric vehicle production. Labor representatives welcomed the move as it gives existing German plants a stake in the shift to electric vehicles. "It must be clear that the jobs are safe despite all the challenges," works council chief Michael Brecht said. Daimler has agreed to keep on 125 temporary workers at its Sindelfingen plant, its biggest German factory with 25,000 workers, for another year and make it a center for car electronics. In return, workers' representatives have agreed to discuss more flexible working hours.